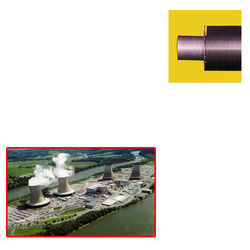 Pioneers in the industry, we offer extruded finned tubes for nuclear power stations from India. We have picked up a position of notoriety in this industry occupied with offering a quality sanction scope of Extruded Finned Tubes for Nuclear Power Stations. Produced utilizing high review crude material and current engineering, our offered finnedtubes is utilized as a part of different commercial enterprises. Further, gave finned tubes are accessible in changed thickness and sizes. Our offered finned tubes are acknowledged for their durability and ideal quality.